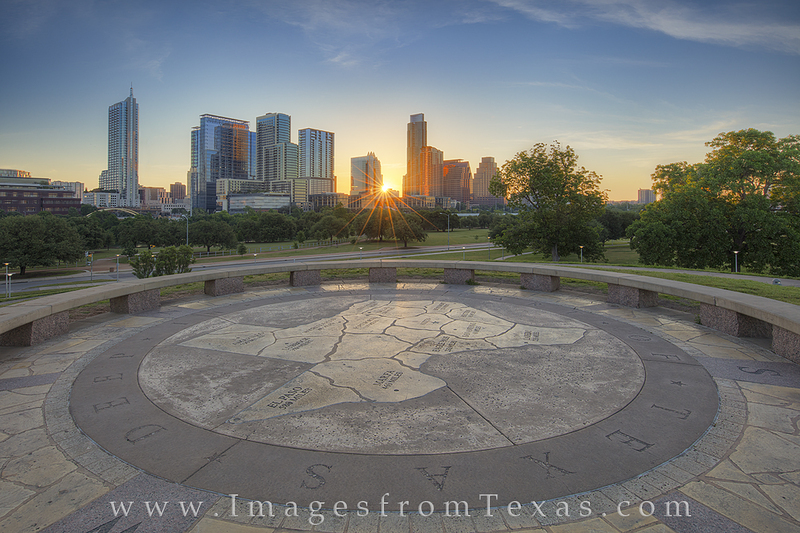 The Austin skyline rises into the cool springtime morning at sunrise. In the foreground, the state of Texas is shown on the small rise known as Doug Sahm Hill. From here, you have a great view of downtown as you peer over Lady Bird Lake. Photo © copyright by Rob Greebon.